✔Bright LED Light with Solar Pannel Support- Built-in rechargeable NI-MH battery, eco saving, recharge and light up automatically. ✔Easy to Install and Use- Built-in Push Button Dimmer for 8 Light Modesand one stake. 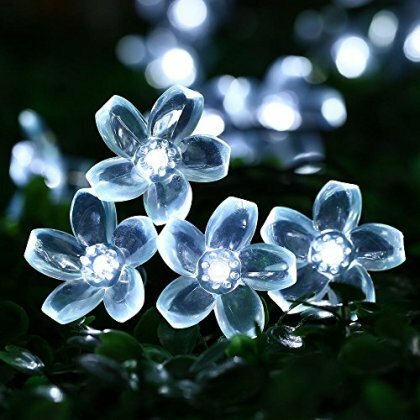 ✔.Long operation time- With a full charge of 6-8 hours, the fairy light will power on for 8-10 hours.